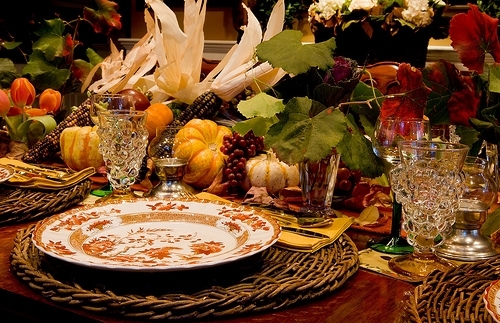 At Akkaway Orthodontics we love learning trivia and interesting facts about Thanksgiving! This year, Dr. Daniel Akkaway wanted to share some trivia that might help you feel a bit smarter at the holiday dinner table and help create some great conversation with friends and family. Did you know that more than four million children throughout the US and Canada have braces? At Akkaway Orthodontics, Dr. Daniel Akkaway and our staff know that kids can be picky and meticulous eaters. If cooking for children without braces is difficult, preparing meals for children with braces is especially daunting. These five braces-friendly dinner recipes will be sure to keep your kids smiling! Macaroni and cheese is the ultimate comfort food. Pasta is soft, so it’s easy for children with braces to eat. The warm, gooey cheese melts in the mouth and doesn’t get stuck in the braces like hard or sticky foods. Chances are good that even the pickiest eater has a soft spot for this homespun classic. 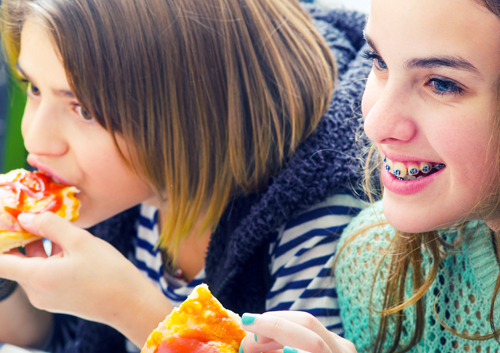 The key to braces-friendly cooking is to replace hard, crunchy foods with softer substitutes. In other words, burritos are a better option than tacos, and lasagna is a better choice than pizza. At the same time, if you have the culinary skills to whip up a pizza with a soft crust, you’re going to win the Best Mom (or Dad) of the Year award. Your child may not like fruits and vegetables. In fact, he or she may even try to convince you that with new braces, fruits and vegetables are off limits. Nice try, kids. While your child is wearing braces, prepare meals with cooked vegetables instead of raw vegetables. A vegetable stir-fry is a healthy and soft dinner choice for kids with braces. Whether it’s beef or chicken, meat is a good source of protein. However, meat, even when it’s carefully taken off the bone (kids with braces should never eat meat from a bone), can easily get caught in braces. Sloppy Joes are a good alternative. The beef is softened by the addition of the sauce and less likely to get strung in the wires and brackets of the braces. Serve the Sloppy Joes with a side of mashed potatoes. Ask any child and he or she will tell you that the best part of dinner is dessert. While hard candy, licorice, taffy, caramel, popcorn, and all other chewy candies should be avoided, ice cream and cake are braces-friendly treats that keep kids smiling. Need more braces-friendly food ideas? Feel free to ask any member of our team. Purple. You’re the creative type, for sure. You beat to a different drummer and think outside the box. It says you're mysterious. Purple is the color of royalty, and when you wear your purple rubber bands you are royally cool. What if you can’t choose just one color? Well, you can decorate your teeth with alternating colors. You can choose the colors of your favorite sports team or holiday colors like red and green. If you’re still stumped as to what colors to choose, ask Dr. Daniel Akkaway or a member of our team. We can let you in on all the trends our other patents are sporting at our Kinnelon or Milford, NJ office! Not everyone is born with a million-dollar smile, not even some celebrities. The following stars have all had their moments as a “brace face,” either as a child, teenager, or adult. You might be surprised to learn about stars who had braces (including Gwen Stefani, who got braces just because she could!). Take a look at some famous faces who sported braces! Emma Watson: Emma admits to going through a rather awkward stage that included “terrible skin,” fluctuating weight, and braces. But look at the swan that emerged! 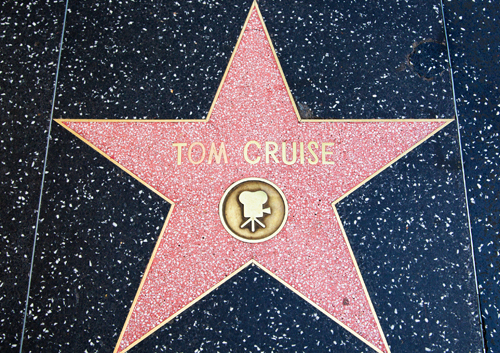 Tom Cruise: Who would have thought that one of the world’s most famous smiles could use an overhaul? Well, Mr. Cruise pulled it off … and most people didn’t even know. He wore “invisible” braces that had ceramic brackets for a few months just after his 40th birthday. And the results were pretty WOW! Dakota Fanning: This lovely young actress had some troublesome teeth when she was younger. However, braces and dental work gave her that stunning star-quality smile we see now. Props to her, though, for staying real. She sported her headgear during an appearance on The Tonight Show and didn’t bat an eye. Gwyneth Paltrow: The stunning Ms. Paltrow, who, in 2013 was named the Most Beautiful Woman by People Magazine, wore braces in high school. And she probably carried it off with the poise and grace for which she is so famous today. Niall Horan: This member of One Direction, the boy band that’s currently tearing it up (and breaking some hearts along the way) wore his braces for several months. He got them removed in April 2013. Other notable celebs who have had braces include Faye Dunaway, who got hers at the age of 61! Ryan Seacrest, Miley Cyrus, Justin Bieber, and Drew Barrymore also belonged to the metal mouth club at one time or another. What is comes down to is this: It isn’t whether you wear braces that are fully hidden, ceramic brackets, or have the traditional metal train tracks running across your teeth. Nope, it’s all about how you work it!